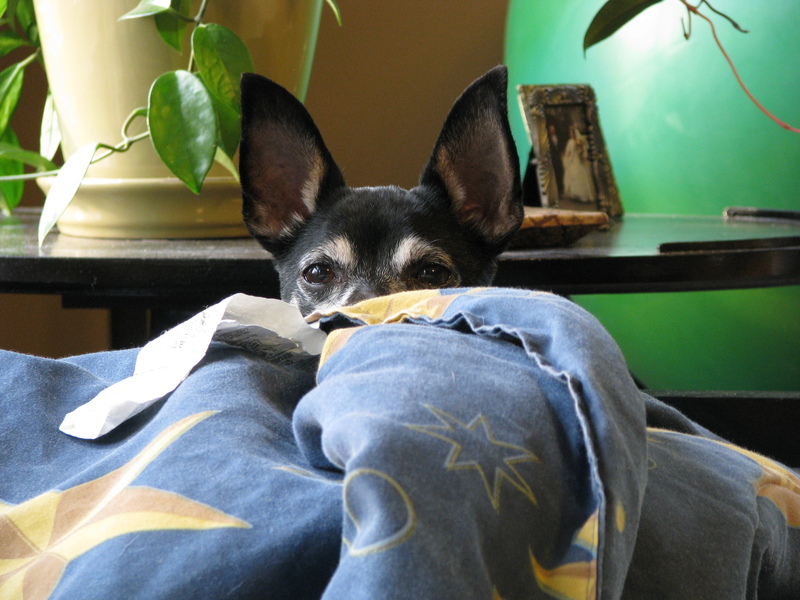 What I see is Louis peeking over the comforter to see what I’m up to. What I think is that he doesn’t let much get past his notice. This entry was posted on July 3, 2012 by fmichellemoran. It was filed under Critters and was tagged with dogs, George Bernard Shaw, humor, life, nosiness, people, philosophy, photography, Quotes. Poor guy, he needs a vacation! And look at those ears! I bet he doesn’t miss much, does he? Not much at all! He hears me turn my head! It’s very hard to ever get a peek at him without his noticing. I came close to adding “a-boo” to the title, haha. It was hard to resist. i think he is amused by you and your camera.